Thanksgiving week I made another Snuggle Tail! This time it was a Dolphin. 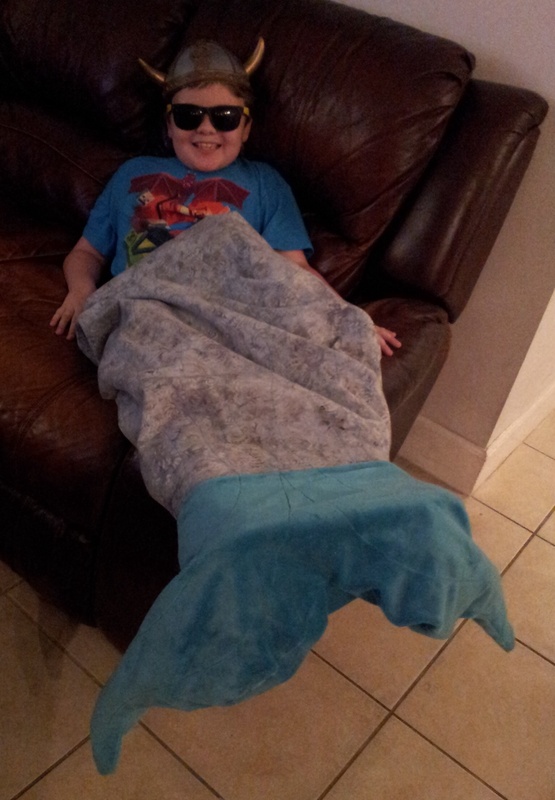 I made it with a cuddle tail fin in true “Miami Dolphins” teal. Our grandson Loves it!! This Saturday I will be teaching the Mermaid version of Snuggle Tails for the Blacksrone Valley Heritage Quilters. 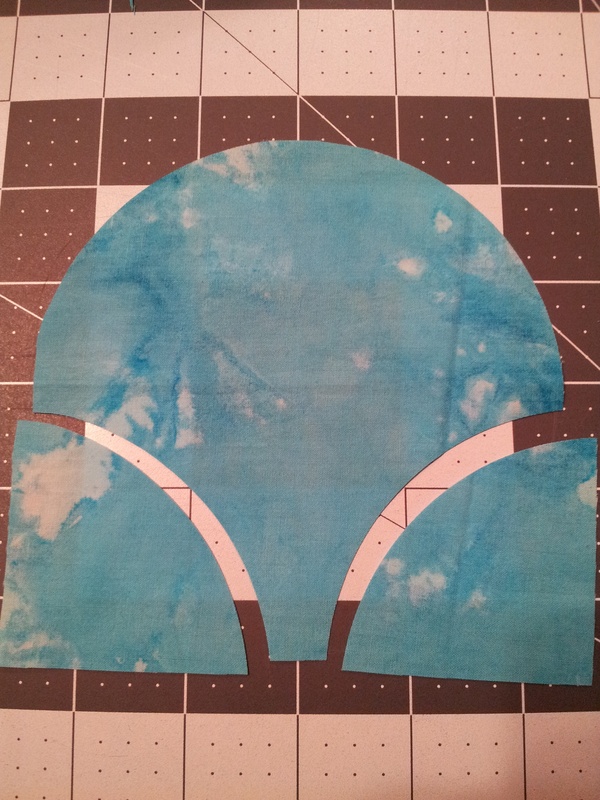 In preparation, I am making a clamshell appliqué version. I wanted to share a few tips on how I make the clamshells. 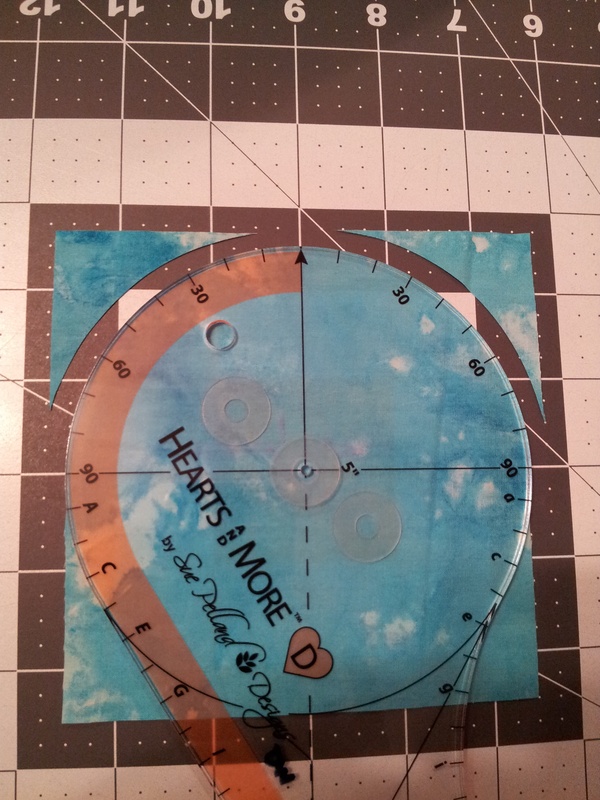 #1 – Use Sue Pelland’s “Hearts and More” 5″ template to rotary cut clamshells. 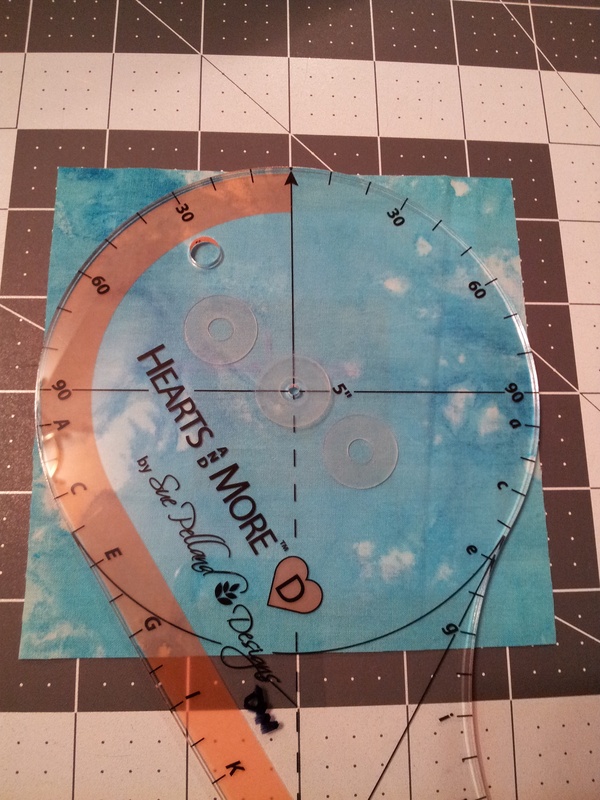 When using Sue’s templates use a 28mm cutter. It cut easily around curves. 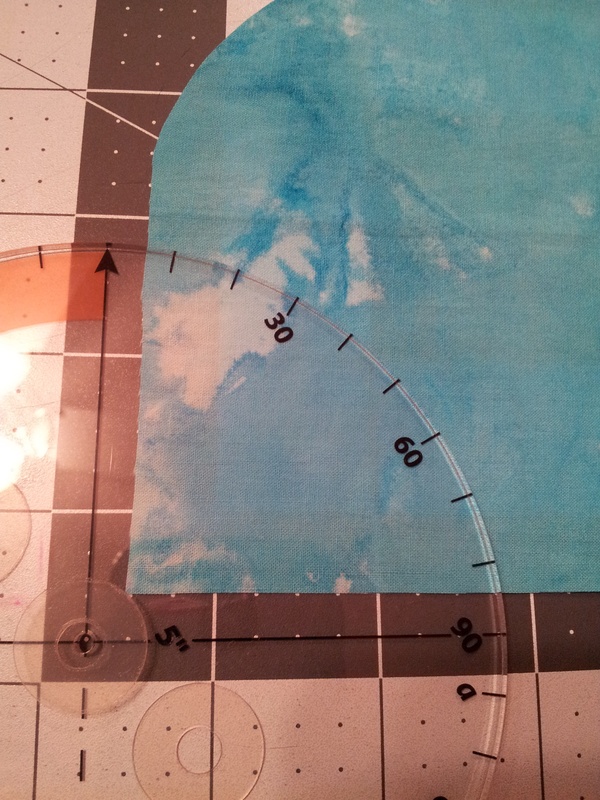 cut the bottom left, aligning the center cross hairs 1/4″ from fabric edge. 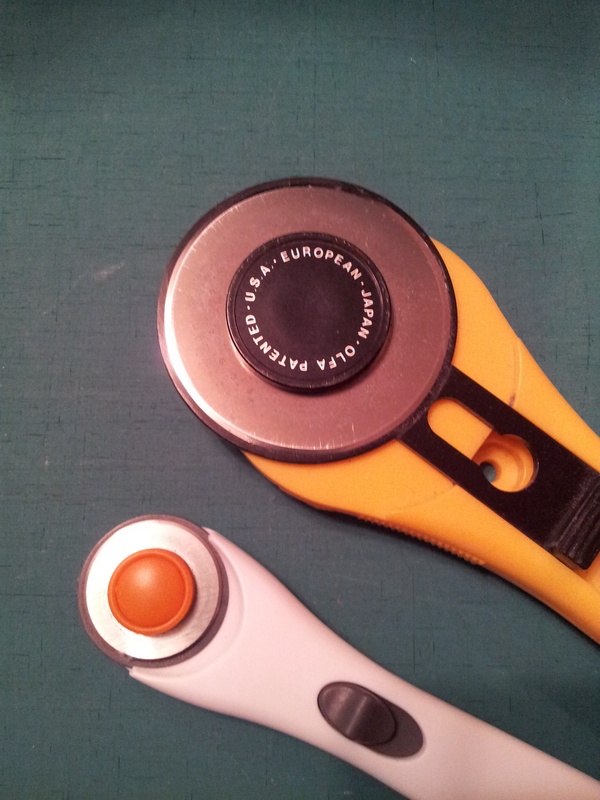 cut the bottom right, aligning the center cross hairs 1/4″ from bottom right edge. 4. Bottom right also cut. This entry was posted in Tips, Tools, Uncategorized. Bookmark the permalink. He loves his dolphin tail! Thanks Grama Debbie! Love this design! Yay! That makes me very happy!